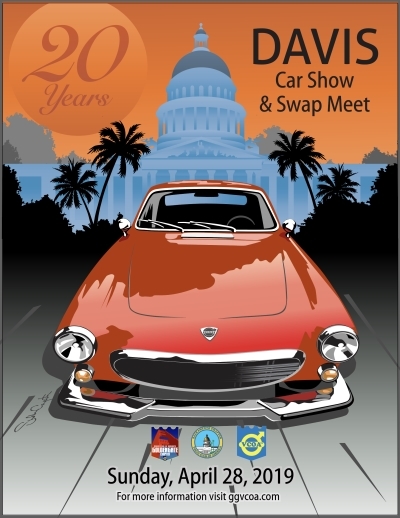 Hope you are well and enjoy your travels to the 20th Annual Davis Weekend! The event maps have been finalized and added as PDFs for you to review and save to your mobile devices and/or print out. Please note that the route includes roads popular with cycling groups and is near busy hiking / running trails. Gary Sellstrom, Saturday Event Coordinator, will also have printed copies available on Saturday morning. Please note that the links to these maps will be removed after the event, so if you would like to take these drives on your own at another time, please save or print out a copy now. We look forward to seeing you all this Saturday and Sunday!